The Spurs had to wait more than 80 games to get their Playoffs. 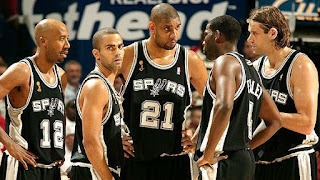 They had to win the last game of the regular season at home to ensure they will remain in contention for the twenty-first consecutive time, beating the Sacramento Kings 98-85 at the AT & T Center to obtain the ticket. Even if the Spurs secured the playoffs ticket, they will have to wait until the final game of the regular season, on Wednesday in New Orleans, to learn about its rival in the first round of the post-season in the Western Conference. "The boys deserve all the credit. It has been a very difficult season”, acknowledged coach Gregg Popovich. "They have done a great job and I am proud". The Spurs (47-34) were able to get the lead on the board against the Kings and advanced to the last period since the opening whistle of the game. "Forty-eight minutes is a long time”, Popovich said ironically. "And in the NBA, things are back and forth. Sometimes, one of the things that scares the teams most is to go fast up in the first quarter, because that often changes, but our defense was good. (The Kings) only scored 35 points in the second half and that's why we were able to return. "That's how we must be, a defensive team. Sometimes we will have offensive droughts and our defense must keep us in the games", added the manager. Sacramento (26-55) showed that their new blood can compete, but also that it lacks the experience that in the end can make the big difference. Center Willie Cauley-Stein scored 25 points and 10 rebounds for the Kings, guard De'Aaron Fox contributed with 21 points and seven assists, while Buddy Hield came off the bench with 17 points. However, the problem of Sacramento to preserve its advantage, which came to be up to 14 points in the third period, were the deliveries of the ball (12) and its effectiveness of 36 percent in field points. "We fight all night, but we still cannot consume the minutes," said Dave Joerger, coach of the Kings. "We went out to compete as far as we could. I'm proud. We missed some shots, dropped balls and committed too many fouls. A good team like the Spurs only needs a window to win. That's what happened tonight", Joerger added. The Spurs once again needed their 40-year-old Argentine star, Manu Ginobili, to get ahead in the game and secure the playoff spot. Similar to what happened last Saturday in the victory over the Portland Trail Blazers, Ginobili scored 17 points and, perhaps more importantly, calmed down the staves and the bench when things seemed irreversible to his team.